- New Construction completed in Mid-April! 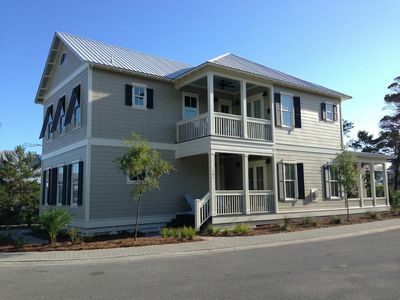 New Construction Completed in April 2019! 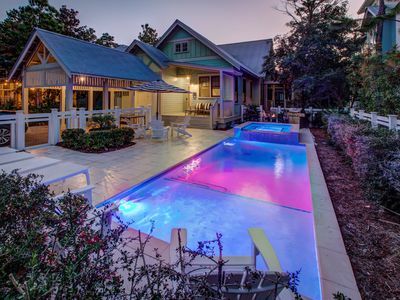 Look no further for your ultimate vacation dream home! 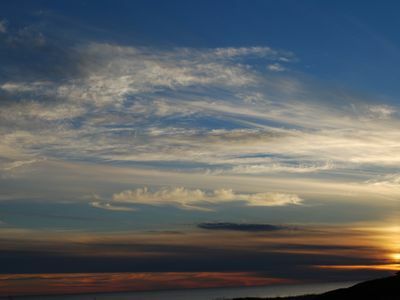 This exclusive, new-construction home offers vast ocean and lake views, private pool, professional decor, and incredibly spacious accommodations for 21 guests. 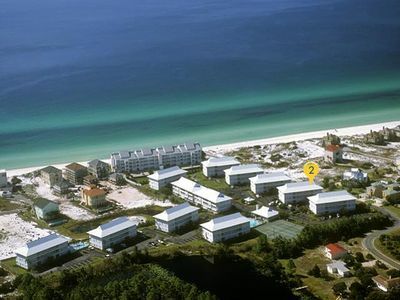 Sandcastle by the Sea sits on a bluff with expansive ocean views to the South uniquely juxtaposed with Lake Allen frontage to the East. 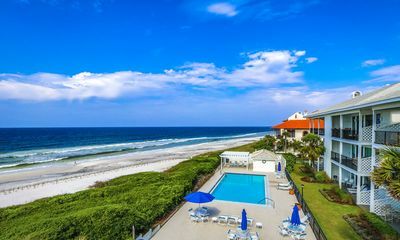 Complementing the unique water views, the expansive outdoor entertainment space elegantly centers around the private pool and coastal dune lake to make for a captivating oasis for hosting your friends and family. 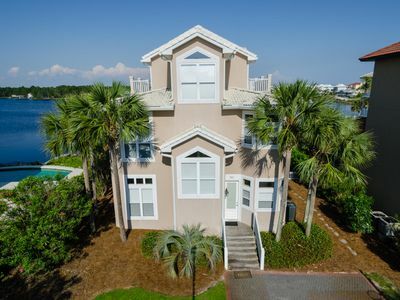 With 7 bedrooms and 8 bathrooms, this home is perfectly outfitted for your multi-generational or multi-family vacation! On the first floor are two guest bedrooms— both are King bedrooms —each offering a private bathroom with a glass-front shower. One of the guest rooms serves as a first-floor master bedroom boasting double doors that open to the pool and an adjacent bunk room that also has access to the full bath. 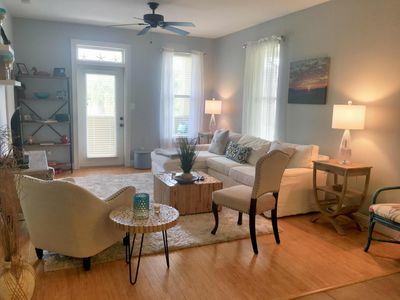 Perfect for small families that want to stay near each other. The second guest room also has double doors leading to the pool deck for easy access and pairs this with a bathroom ensuite. A spacious game room complimented by a full bar, pool table, and large TV provides hours of entertainment and fun for your guests. 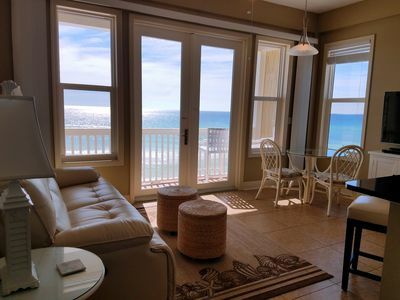 The oversized bottle wine cooler and ice maker make this the ideal spot to top off your favorite beach drink or for you to conveniently refill when laying by the pool. 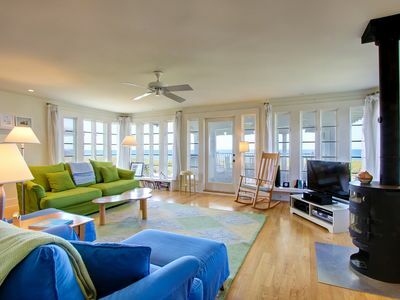 This game room invites you in the front door serving as a small taste of what your vacation will hold. 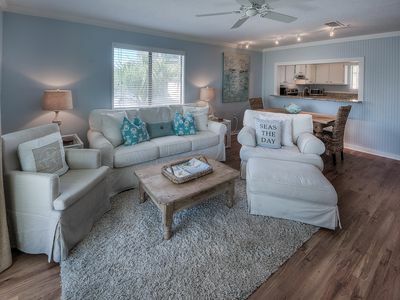 The full sized pool table leads to the incredible lanai and outdoor oasis that boasts the large, private pool (which can be heated seasonally from October to May), a hot tub, a fireplace, a spacious pool deck, and a convenient outdoor kitchen. The Mother-in-law suite sits adjacent to the main house and opens up to the pool deck featuring a King suite with ensuite bathroom with a separate entry/exit for use by pool guests. The second floor presents an open-concept floor plan to combine the living, dining, and kitchen areas. 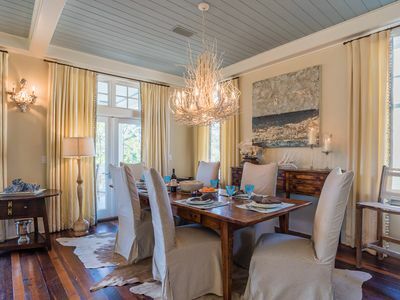 The discreet ceiling details draw the discerning eye along the aged pecky cypress towards the living space while creating a bright and airy ambiance coupled with sweeping views of the emerald coast. 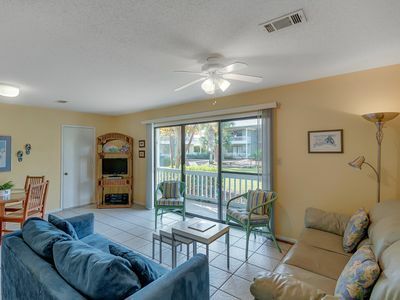 The ultimate indoor/outdoor living space awaits you from this floor and includes both an East and West balcony so you never miss a picture perfect moment. With ample seating on all of the outdoor terraces, your hardest decision will be finding which spot best suits your mood throughout the day. The gourmet kitchen will delight home cooks and food enthusiasts and boasts premium stainless steel appliances, a gas range, and ample counter and cabinet space. Also on this level is one of the homes master bedrooms. The master features a Lake-front king suite and a private bathroom with a walk-in shower. The third floor has a living space and also contains three of the home's guest rooms with a variety of sleeping options. Guests can choose from two king bed guest rooms(One with adjoining single bunk room) both with private bathrooms, or two sets of twin-over-twin built-in bunk beds plus one single bed in the bunk room with en suite bathroom. The last bedroom in this incredible home is another lakefront king suite with gulf and lake views featuring a private, en suite bathroom. The home's three levels can be easily accessed with the in-home elevator. 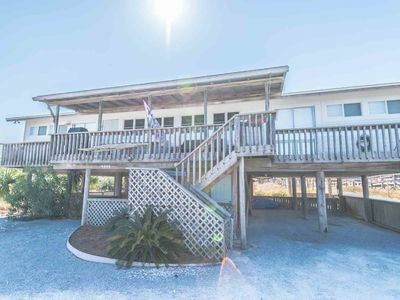 With 4 terrace-style balconies, facing South, East, and West, this home ensures you will never miss a sunrise or sunset while on your favorite vacation of the year. 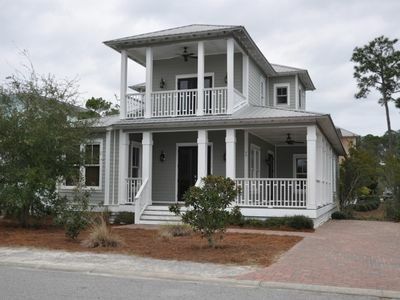 It's undeniably one of the most stunning homes along 30-A in Blue Mountain Beach. 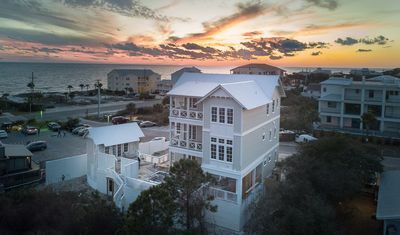 Boasting three living areas, seven en-suite bedrooms, and two half bath, everyone has a retreat of their own surrounded in the coastal elegant decor by K and J Design Group. 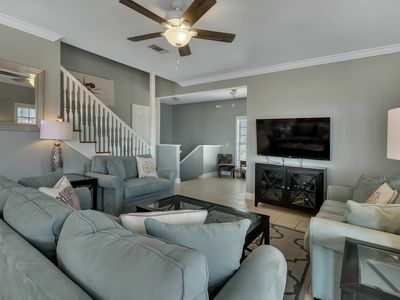 From the gourmet kitchen with dual sinks and dishwashers, full gas range, and subzero refrigerator to the open floor plan throughout with exposed beams and cypress ceilings this home is simply luxurious. 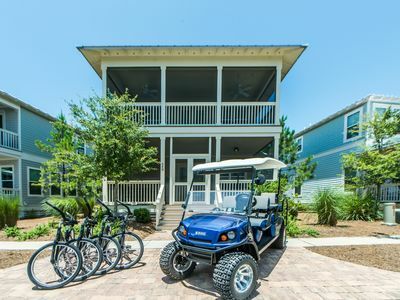 Beach chair service (seasonal) and 4 bikes with your stay - Next door to Stinky's Fish Camp, a short walk to the shops and restaurants of Blue Mountain Beach and right next to the beach access. Free WiFi! 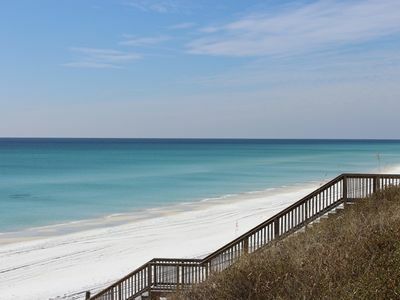 Beachfront Condo in Dune Allen Beach w/ Community Pool & Gulf Views! 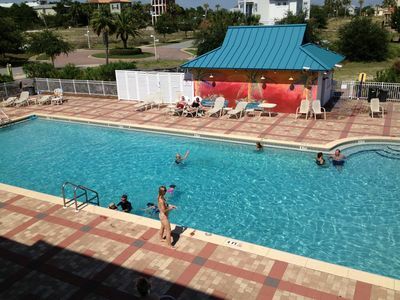 Big family for big gated pool-front 30-A condo on bike path with fitness center! 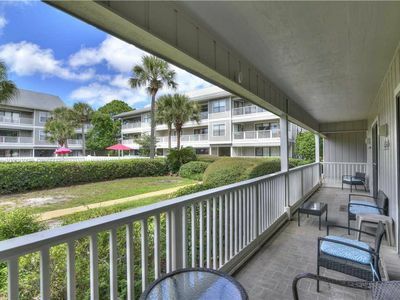 Highly Rated Beachwood Villas! 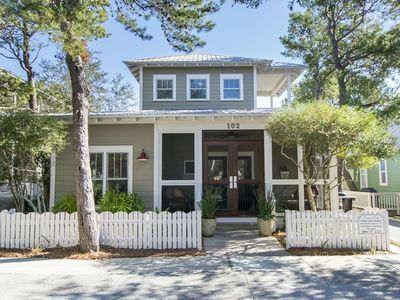 Stay 30A, steps from beach, in exclusive Seagrove Beach @great rates!